Garrett Yrigoyen has broken his silence. It appears that the Bachelorette contestant has apologized on his brand new Instagram for having liked offensive posts on his old Instagram page that has caused quite the controversy for the show over the past few days. Garrett was given the first impression rose on Monday's premiere, right around the time that screenshots started appearing of posts he had previously liked on Instagram that expressed transphobic views and claimed Parkland shooting survivor David Hogg was a crisis actor. That account was then shut down. Now, on his new account, Garrett has issued an apology. "To those who I have hurt and offended: This is all new to me. I went on The Bachelorette for the adventure and possibility of falling in love, not fame. I did not know what to expect once the show aired." "I am sorry to those who I offended, and I also take full responsibility for my "likes" on Instagram that were hurtful and offensive," he continued. "Garrett_yrigs12 was my former Instagram handle and I decided to take it down and start fresh because I have learned an extremely valuable lesson and am taking steps to grow, become more educated and be a better version of myself. I am not perfect, and I will never be anywhere close, but now I will always be more informed and aware of what I am liking and supporting, not just on Instagram, but in life." "I never realized the power behind a mindless double tap on Instagram and how it bears so much weight on people's lives. I did not mean any harm by any of it. My Instagram "likes" were not a true reflection of me and my morals." Yrigoyen goes on to call for his mistakes to "be a lesson for those who mindlessly double tap images, memes, and videos on any social media content that could be many things including hurtful, degrading, and dehumanizing." "I do not want my social media to define who I am, and I will take better care moving forward to support all walks of life. Again, I sincerely apologize and am sorry for any hurt, damage, or offense I may have caused." Garrett is not the only one who has spoken out about the issue. 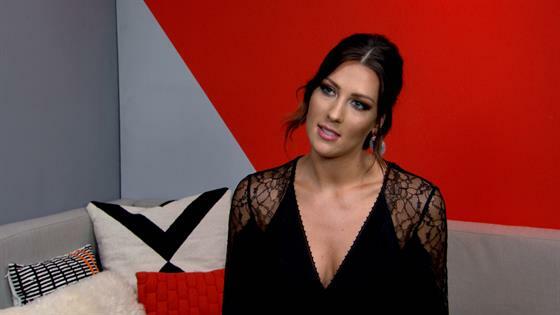 Bachelorette star Becca Kufrin also addressed the situation in an interview with E! News, saying, "everyone is entitled to their own opinions, and at the end of the day I wanted to go on this journey to open up myself and have people see my love story unfold and I would hope that they would stay open and respect me but also stay open and respect these 28 guys that went along on the journey with me."